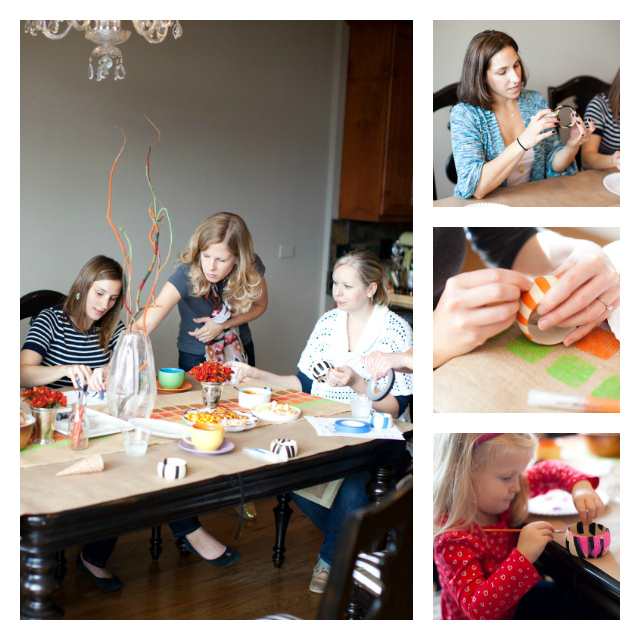 Yesterday was a rainy fall day in Chicago – a perfect day to gather some friends inside, heat up some apple cider, and make these! 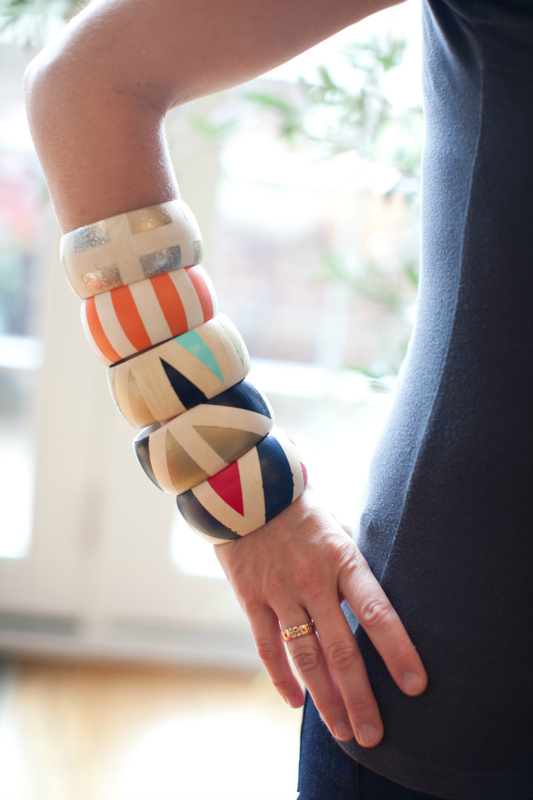 These geo painted wooden bangles from Kollabora were a big hit at our October DIY Party and just my kind of project – simple to make, with a big impact. It was fun to see how everyone made a different design and chose a different set of colors. Each bracelet turned out so beautiful and unique to its maker! In addition to the wood bangles, all you need to make these are thin masking tape and acrylic (water resistant) craft paint. 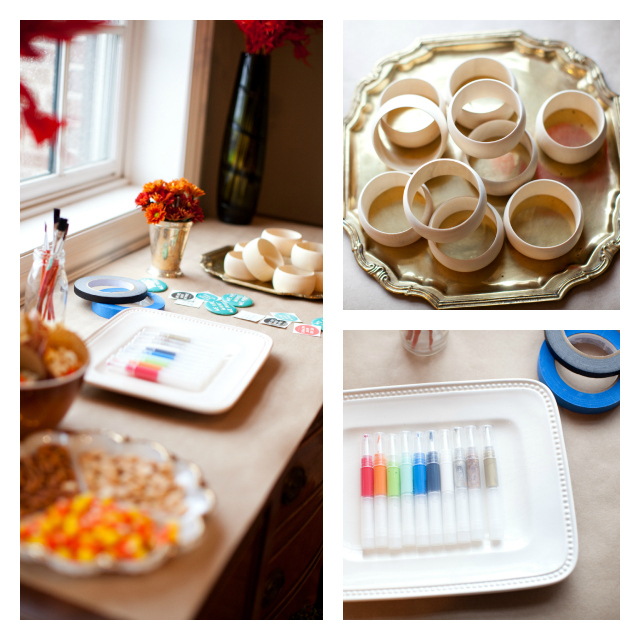 We also used these these awesome Slobproof paint pens that you can load with your paint, making painting the bangles a breeze. 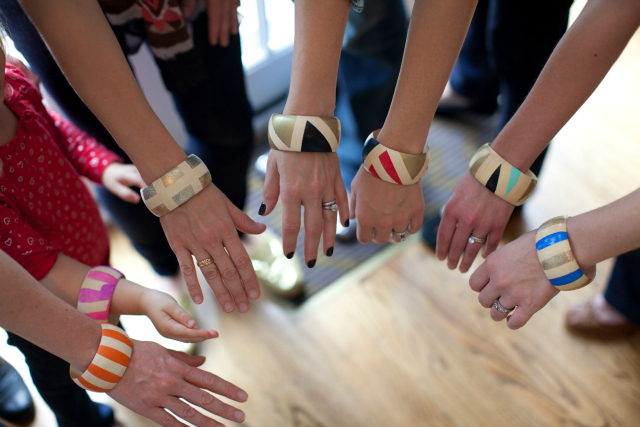 To make the bracelets, we each taped off a design, painted the exposed wood parts of the bangle with our favorite paint colors, and then peeled off the tape after the paint had dried. You can also add a couple coats of Mod Podge afterwards for a protective seal. The project was so easy to do, even my 3 year old daughter joined in on the fun to make her own bracelet! 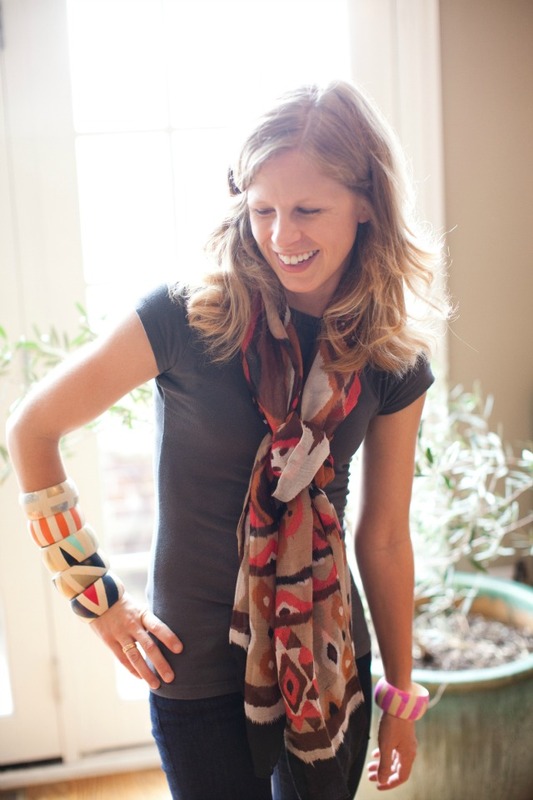 Head to Kollabora’s site for a great step-by-step tutorial for making the bracelets!